Mastering your emotions can be extremely difficult. Often, it is our mind that controls us, instead of the other way round. When we allow our emotions to rule our thoughts and actions, we usually regret it later. The human mind is capable of feeling many emotions in varying degrees. But it is always good to have a balance on everything, including our emotions. When you feel in extremes, whether positive or negative, you are not in your right state of mind. This does not mean that you should never feel joy or grief because that would mean asking you not to be human. What is important is that you learn to control your emotions so as to minimize the after-effects of decisions made in haste. To learn how to rise above your own emotions, you must first understand a few facts about emotions and how they work. Firstly, you should know that any type of emotion can, in fact, be controlled by targeting the three main factors that influence what you feel – physiology, focus, and language. Psychologists call this the “emotional triad”. 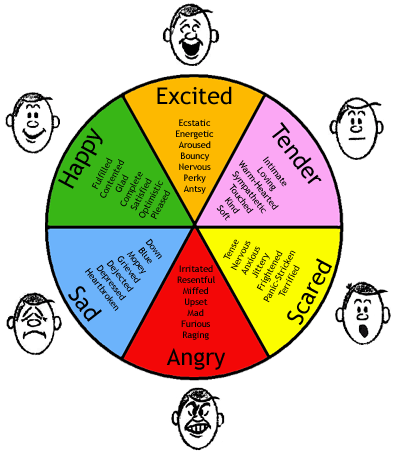 Let us explore in detail how each of these factors affects our emotions. Psychologists believe that what we feel can be affected by our body language and facial expressions. So, if you are feeling low, you can alter your state of mind to a more positive tone simply by forcing a smile on your face, breathing deeply, and sitting up straight. When you smile, the brain will detect the bodily change and believe that it is a sign of happiness. This brings about biochemical changes in the body to actually make you feel more pleasant. The common saying “Fake it till you make it” can actually be applied in many cases when it comes to gaining the upper hand over your emotions. What you choose to focus on is another factor that can control what you feel. Learn to focus on the good, especially in times when you feel low. Think of all the blessings that you have received and be thankful for each one of them. Even in you find yourself getting angry with someone, stop and pause for a minute to remember all the good memories you have shared. The words you choose to think and speak can also greatly affect your emotions. When you say “There is no way I can finish it on time”, you will feel beaten even before you have started, and you are less likely to meet your deadline for whatever it is that you’re doing. On the other hand, if you say “I am confident that I can finish it on time”, you will feel more empowered and you have higher chances of doing a good job and finishing it on time. Always remember that words have certain associated emotions. If you use too many negative words, it is difficult for you to be in a pleasant mood. So be aware and pay attention to the words that you use on a daily basis. Now that you have some knowledge of how emotions work, it is much easier to understand how to control them. Even an understanding of the emotional triad has already given you a few basic tips on how you can control how you feel. When you are faced with an emotional situation, especially those which evoke feelings of sadness and anger, remind yourself to take a deep breath, count to ten, and calm yourself down. Remember that you do not have to react immediately and if you do, you will most probably regret it later. Walking, running or working out are great ways to release pent up emotions, especially negative ones. They can also be used to alter your state of mind. For example, when you are feeling dull, taking a walk in the park can make you feel more energized and put you in a more positive mood. When you are angry, a working out session at the gym can prove to be therapeutic. Keep track of every positive experience you have through the day, no matter how small. The human brain reinforces concepts when we repeatedly pay attention to them. So the more you are aware of the good that is happening around you, the more you will cultivate the same goodness. New experiences like reading a new book, watching new movies, traveling, meeting new people, and experiencing new cultures can be very therapeutic for many people. It helps you gain new perspectives and can change your whole outlook. This will make you wiser and in a better position to deal with any situation and keep your emotions in check. When you can sense yourself feeling an unwanted negative emotion, a practical way to deal with it is to distract yourself. Try to be engaged in an activity that is not related to what triggered your emotion or try to think of other thoughts. Replace your negative feelings with fond memories of someone you love or a happy and proud moment. 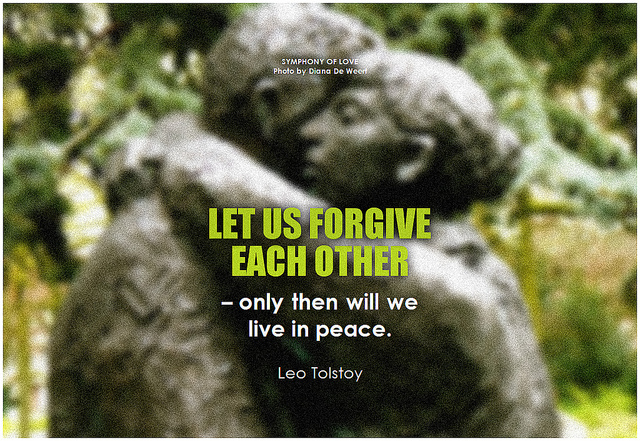 Whatever experience or whoever fills you with a wave of negative emotions, the best way is to forgive and forget. They can be family members, friends or co-workers. Whoever they are or whatever the experience is, try your best to forgive them and allow yourself to let go of that memory. Along with these memories, associated negative feelings will also go. Saying affirmations out loud every day can prove to be very helpful for your holistic development. And this includes controlling your emotions as well. As soon as you wake up in the morning, tell yourself affirmations like “I am in control of how I feel today” or “There is nothing that can bring me down today” and see for yourself the changes it brings. Meta description: Controlling your emotions can be difficult. But with an understanding of how emotions work and these useful tips, mastering how you feel can be much easier. So grateful to the writers at Mindvalley for guest writing our post especially for Bright Side. Mindvalley is an education tech and personal growth company with over 2 million Facebook fans and an email list of over 1.5 million. Mindvalley works with authors such as Robin Sharma, Lisa Nichols and Alan Watts to produce amazing transformational education content. This entry was posted in Health, Pretty Fabulous People, Relationships, Spirituality, Uncategorized.